4450201 C80 LINDE C80 Diesel forklift more 8 t. Spare Parts Catalog. Service (workshop) Manual. Operator's Instruction Manual. 4450202 C90 LINDE C90 Diesel forklift more 8 t. Spare Parts Catalog. Service (workshop) Manual. Operator's Instruction Manual. 4450203 H100 LINDE H100 Diesel forklift more 8 t. Spare Parts Catalog. Service (workshop) Manual. Operator's Instruction Manual. 4450204 H120 LINDE H120 Diesel forklift more 8 t. Spare Parts Catalog. Service (workshop) Manual. Operator's Instruction Manual. 4450205 H140 LINDE H140 Diesel forklift more 8 t. Spare Parts Catalog. Service (workshop) Manual. Operator's Instruction Manual. 4450206 H150 LINDE H150 Diesel forklift more 8 t. Spare Parts Catalog. Service (workshop) Manual. Operator's Instruction Manual. 4450207 H160 LINDE H160 Diesel forklift more 8 t. Spare Parts Catalog. Service (workshop) Manual. Operator's Instruction Manual. 4450208 C350.01 LINDE C350.01 Diesel forklift more 8 t. Spare Parts Catalog. Service (workshop) Manual. Operator's Instruction Manual. 4450209 H250 LINDE H250 Diesel forklift more 8 t. Spare Parts Catalog. Service (workshop) Manual. Operator's Instruction Manual. 4450210 H280 LINDE H280 Diesel forklift more 8 t. Spare Parts Catalog. Service (workshop) Manual. Operator's Instruction Manual. 4450211 H320 LINDE H320 Diesel forklift more 8 t. Spare Parts Catalog. Service (workshop) Manual. Operator's Instruction Manual. 4450212 H420 LINDE H420 Diesel forklift more 8 t. Spare Parts Catalog. Service (workshop) Manual. Operator's Instruction Manual. 4450213 H100 LINDE H100 Diesel forklift more 8 t. Spare Parts Catalog. Service (workshop) Manual. Operator's Instruction Manual. 4450214 H120 LINDE H120 Diesel forklift more 8 t. Spare Parts Catalog. Service (workshop) Manual. Operator's Instruction Manual. 4450215 H140 LINDE H140 Diesel forklift more 8 t. Spare Parts Catalog. Service (workshop) Manual. Operator's Instruction Manual. 4450216 H150 LINDE H150 Diesel forklift more 8 t. Spare Parts Catalog. Service (workshop) Manual. Operator's Instruction Manual. 4450217 C360 LINDE C360 Diesel forklift more 8 t. Spare Parts Catalog. Service (workshop) Manual. Operator's Instruction Manual. 4450218 C400 LINDE C400 Diesel forklift more 8 t. Spare Parts Catalog. Service (workshop) Manual. Operator's Instruction Manual. 4450219 C400-10 LINDE C400-10 Diesel forklift more 8 t. Spare Parts Catalog. Service (workshop) Manual. Operator's Instruction Manual. 4450220 C420 LINDE C420 Diesel forklift more 8 t. Spare Parts Catalog. Service (workshop) Manual. Operator's Instruction Manual. 4450221 C460 LINDE C460 Diesel forklift more 8 t. Spare Parts Catalog. Service (workshop) Manual. Operator's Instruction Manual. 4450222 C4026 LINDE C4026 Diesel forklift more 8 t. Spare Parts Catalog. Service (workshop) Manual. Operator's Instruction Manual. 4450223 C4026CH LINDE C4026CH Diesel forklift more 8 t. Spare Parts Catalog. Service (workshop) Manual. Operator's Instruction Manual. 4450224 C4030 LINDE C4030 Diesel forklift more 8 t. Spare Parts Catalog. Service (workshop) Manual. Operator's Instruction Manual. 4450225 C4130TL LINDE C4130TL Diesel forklift more 8 t. Spare Parts Catalog. Service (workshop) Manual. Operator's Instruction Manual. 4450226 C4230 LINDE C4230 Diesel forklift more 8 t. Spare Parts Catalog. Service (workshop) Manual. Operator's Instruction Manual. 4450227 C4234 LINDE C4234 Diesel forklift more 8 t. Spare Parts Catalog. Service (workshop) Manual. Operator's Instruction Manual. 4450228 C4531 LINDE C4531 Diesel forklift more 8 t. Spare Parts Catalog. Service (workshop) Manual. Operator's Instruction Manual. 4450229 C4535 LINDE C4535 Diesel forklift more 8 t. Spare Parts Catalog. Service (workshop) Manual. Operator's Instruction Manual. 4450230 C4545 LINDE C4545 Diesel forklift more 8 t. Spare Parts Catalog. Service (workshop) Manual. Operator's Instruction Manual. 4450231 H120 LINDE H120 Diesel forklift more 8 t. Spare Parts Catalog. Service (workshop) Manual. Operator's Instruction Manual. 4450232 H140 LINDE H140 Diesel forklift more 8 t. Spare Parts Catalog. Service (workshop) Manual. Operator's Instruction Manual. 4450233 H160 LINDE H160 Diesel forklift more 8 t. Spare Parts Catalog. Service (workshop) Manual. Operator's Instruction Manual. 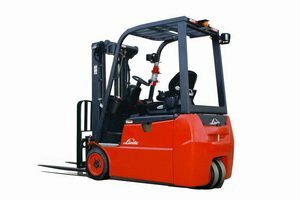 4450234 H100-T2 LINDE H100-T2 Diesel forklift more 8 t. Spare Parts Catalog. Service (workshop) Manual. Operator's Instruction Manual. 4450235 H100-T3 LINDE H100-T3 Diesel forklift more 8 t. Spare Parts Catalog. Service (workshop) Manual. Operator's Instruction Manual. 4450236 H120-T2 LINDE H120-T2 Diesel forklift more 8 t. Spare Parts Catalog. Service (workshop) Manual. Operator's Instruction Manual. 4450237 H120-T3 LINDE H120-T3 Diesel forklift more 8 t. Spare Parts Catalog. Service (workshop) Manual. Operator's Instruction Manual. 4450238 H140-T2 LINDE H140-T2 Diesel forklift more 8 t. Spare Parts Catalog. Service (workshop) Manual. Operator's Instruction Manual. 4450239 H140-T3 LINDE H140-T3 Diesel forklift more 8 t. Spare Parts Catalog. Service (workshop) Manual. Operator's Instruction Manual. 4450240 H150-T2 LINDE H150-T2 Diesel forklift more 8 t. Spare Parts Catalog. Service (workshop) Manual. Operator's Instruction Manual. 4450241 H150-T3 LINDE H150-T3 Diesel forklift more 8 t. Spare Parts Catalog. Service (workshop) Manual. Operator's Instruction Manual. 4450242 H160-T2 LINDE H160-T2 Diesel forklift more 8 t. Spare Parts Catalog. Service (workshop) Manual. Operator's Instruction Manual. 4450243 H160-T3 LINDE H160-T3 Diesel forklift more 8 t. Spare Parts Catalog. Service (workshop) Manual. Operator's Instruction Manual. 4450244 H180-T2 LINDE H180-T2 Diesel forklift more 8 t. Spare Parts Catalog. Service (workshop) Manual. Operator's Instruction Manual. 4450245 H180-T3 LINDE H180-T3 Diesel forklift more 8 t. Spare Parts Catalog. Service (workshop) Manual. Operator's Instruction Manual.